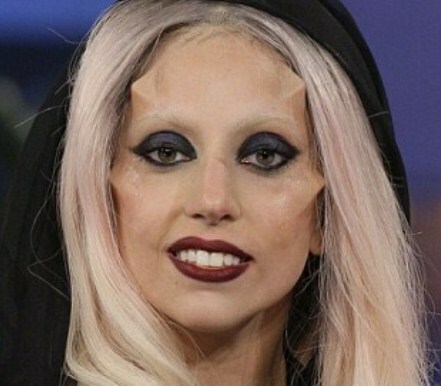 Lady Gaga Plastic Surgery Quotes "Promoting Insecurity"
Her name is Lady Gaga, and the outspoken Born This Way singer is never afraid to speak her liberated mind, and dish out candid comments about any topic thrown her direction. Which brings us to her recent interview with Harper's Bazaar magazine, where Ms. Gaga gives her own personal opinion about plastic surgery, and the harm it causes to our culture. And while Lady Gaga may not always seem like an admirable figure of our society, we feel she hit the nail square on the head, concerning this particular issue. And how many models and actresses do you see on magazine covers who have brand-new faces and have had plastic surgery? While I myself have never had any plastic surgery, I am an artist, and I have the ability and the free will to choose the way the world will envision me. We couldn't agree more, Gaga, its glaringly obvious that the fragile self-image of young impressionable girls is being sent into a tizzy, with all the mainstream plastic surgery hullabaloo which is plaguing our culture. This is evident by the increasing amount of young teens and adolescents who are undergoing cosmetic procedures, often encouraged by their parents. Like in the case of Kerry Campbell, and her 8-year-old daughter, Britney, who is already receiving botox injections. She did have plastic surgery. What is she talking about?